Update Jan 21, 2017: v2. 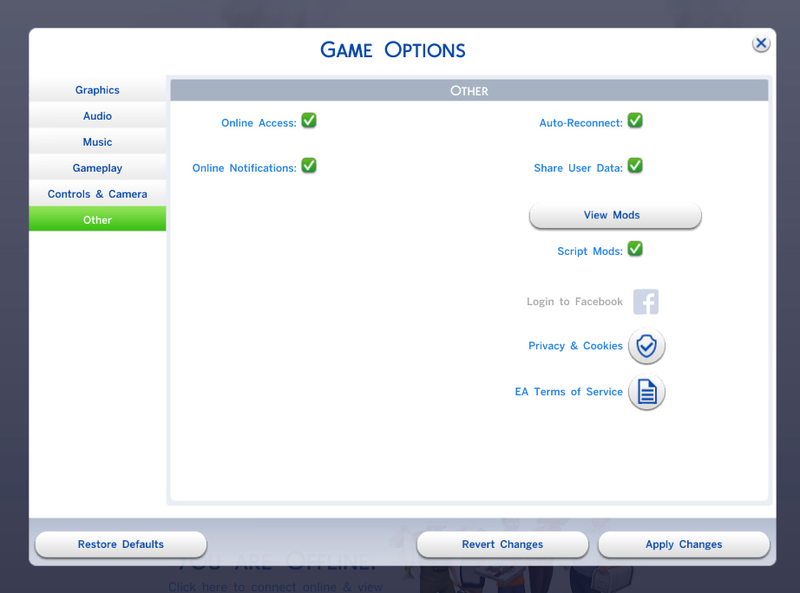 Updated for Patch 1.26.96 (aka Toddler Patch). Now all age groups can eat this food as before. Note that you can give this food to toddlers but they will refuse to eat spicy food, and this is not a bug. Update Dec 12, 2016: fixed restaurant price. YOU NEED CUSTOM FOOD INTERACTION v2.0 or higher for the recipe to be available in game. Cooking skill level 6 is required. Mushroom and Onion can be used as ingredients but are not required. Tagged as Aromatic, Spicy, Seafood. Available for all age groups. Note that you can give this food to toddlers but they will refuse to eat spicy food. The dish, however, will also show up in the restaurant and food stand menus if you have GP03 Dine Out and EP03 City Living (respectively) installed. 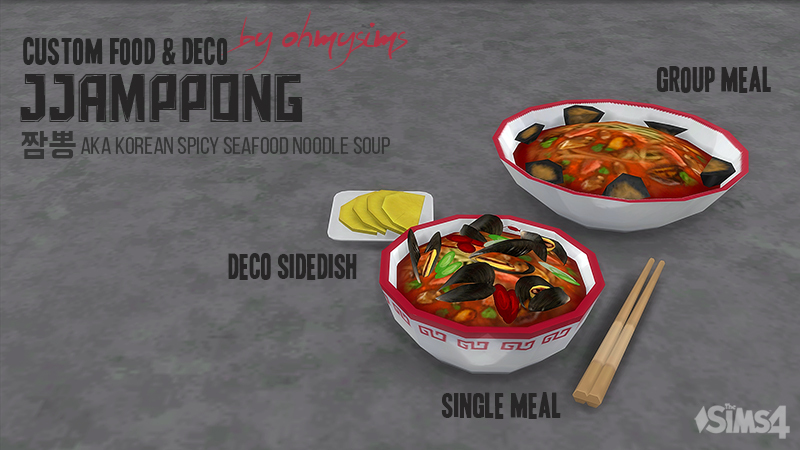 Ready-to-eat version is available from bars, food stalls (EP03), Chinese food takeout boxes (CC), and food truck (CC). English, Chinese, Czech, Danish, Dutch, Finnish, French, German, Italian, Japanese, Korean, Portuguese, Spanish, Swedish, Norwegian, Polish, Russian (all translated by myself). I used google translator for the translation. So feel free to correct any mistake and add suggestions. Please DO NOT send me an STBL file extracted by s4pe. I have a couple of issues with directly importing string files, so would rather manually add them. You can simply translate the texts below and leave a comment or attach a text file.